SEO CompanySEO or “Search Engine Optimization” is essentially the visibility of your website in search engines like Google or Bing. You have a big set of competition out there on the internet, and a good portion of them are trying to rank on search engines just like you. There are a list of things that search engines look at in order to determine whether you should be on the top of that list. An SEO Company can help you by auditing your current site and seeing where you can improve to increase your search engine rankings in sites such as Google. Can an SEO Company get me ranked high on this “list”? Proper SEO, sometimes called “Whitehat SEO”, follows a set of guidelines set by search engines to rank appropriately and accurately. Things like fresh content, a well-built site structure, and the amount of quality sites that link back to you are just a few of the things that will be looked at to determine where your site ranks for your business niche. Because each niche is unique, and different types of companies target different audiences, there’s no one “rule of thumb” for SEO. We customize each and every strategy to suite your business and enhance your marketing goals. Can you help me with my websites “SEO”? Yes! Our end-result is to get you the results so that your ROI (Return on Investment) is where you want it to be. We use proven techniques such as Local SEO, and stay current on the ever-changing algorithms on Google to stay on top of our game. We send you regular reports to show your progress and remain your personal SEO monitor to always stay on top of your stats. We provide distinct packages meant to support small (or large) businesses in need of search engine optimization but can’t afford big business prices. As a professional SEO Company, Misfit Interactives goals have always been to support small businesses on the big wide web. 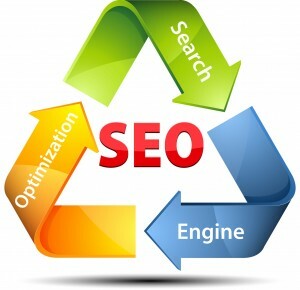 Below are our SEO packages that you can also customized to fit your particular needs. This is meant for small businesses who have no idea how they currently rank, just that they know they need some changes made. The SEO Foundation Package is a one-time package where we do a detailed sweep of your website infrastructure and fix known issues that may affect your SEO rankings. We will also do initial research into keywords for your industry and optimize your website for up to 5 of those high quality websites. We will also update and optimize your existing content and submit your clean and green website into Google to be ranked based off this new data. Basically we will get you set up with a solid SEO foundation of your existing website as a one-time optimization to set you in the right direction. Our SEO Maintenance Package is meant for small businesses who need regular monitoring and updates to compete with their competition online. This package does not include the foundational edits above, since this is for maintenance of an already optimized website, but it’s meant to maintain and keep a healthy SERP (search engine page rank) without breaking the bank. In this package we will monitor any redirects or crawl errors, do additional keyword research for up to 10 top quality keywords associated with your industry, evaluate your content for improvements each month, provide new high quality blogs and articles, and provide you with a monthly report of all the things. Our SEO Optimized package is for serious contenders online who really want to focus on enhancing their website visibility and may have some serious competition to deal with. Within this package you’ll get all the bonuses of the maintenance package, but with significant extra perks that are built around an all encompassing SEO boosting strategy. Some of these include new landing pages for high ranking keywords (up to 100 keywords) or promotions on your existing website, creation of content to distribute to outside sources to link back to you as well as multiple blogs and articles on your own website. You will also receive written press releases to get your big news out there, submission to high quality directories, distribution to social networks and detailed monthly reporting on who your traffic is and where they are coming from.